Golfers Nest offers premium hospitality and is located in Golf Links. The lobby is tastefully designed with paintings and textures. 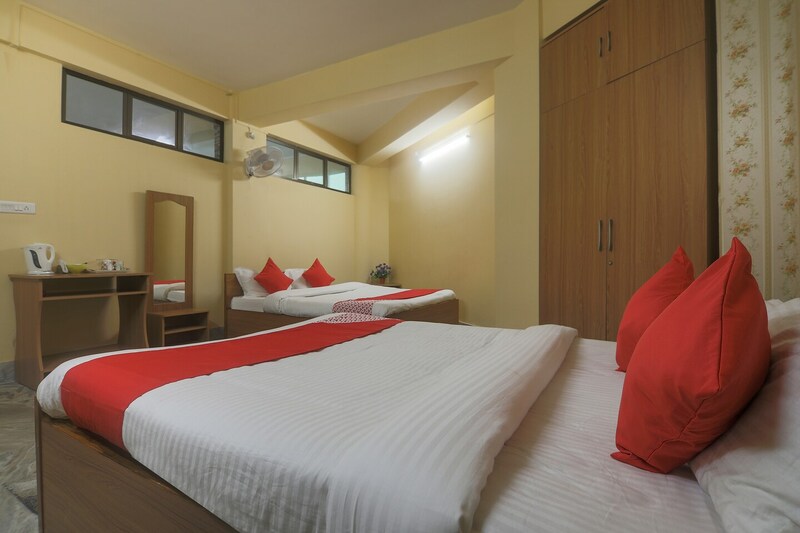 Rooms are spacious and well-equipped with basic wooden furniture for a comfortable stay. Walls are painted in pastel tones and decorated with beautiful textures. Bathrooms here are also well-maintained and equipped with basic necessities. The rooms are well-equipped with basic and modern amenities including hair dryer. The dining area is well-furnished where guests can enjoy tasty treats. Banquet hall here can be used for functions and events. CCTV cameras are installed in the premises for the security of your stay. Free Wi-Fi and power backup are some other amenities offered here. Spread Eagle Falls, Shillong View Point and Beadon Bishop View Point are some attractions located which can be explored by guests while staying here.